Fancy and stylish, this custom wine label is perfect for an anniversary or wedding. 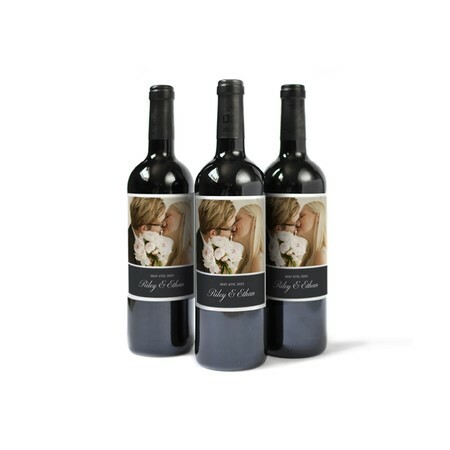 Add your favorite photo and text to this wine label and create a personalized wine that will be the toast of the town. Learn how to apply custom wine labels here.